Many of the services described in this section are complementary, which means that they are both more valuable when done together and the cost can be significantly cheaper. Consequently, AHRECS would welcome the opportunity to discuss conducting all of these services or a selection of services for your institution. Some of our clients elected to do these services across two financial years. Let us know if you’d like to talk to some of our former clients that have elected to users for a suite of services. 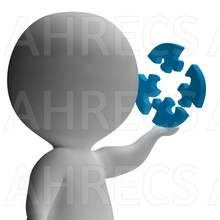 AHRECS has considerable experience in change management, including how to recruit champions for change and avoiding entrenching potential opponents.